A simple anatomy study. Asymmetrically modeled. 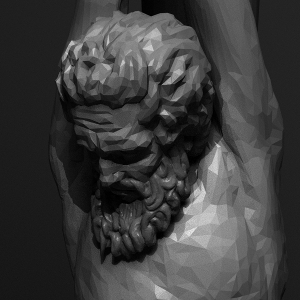 Perhaps one day i will come back and sculpt proper hair. I have a few ideas of what to do with the model.